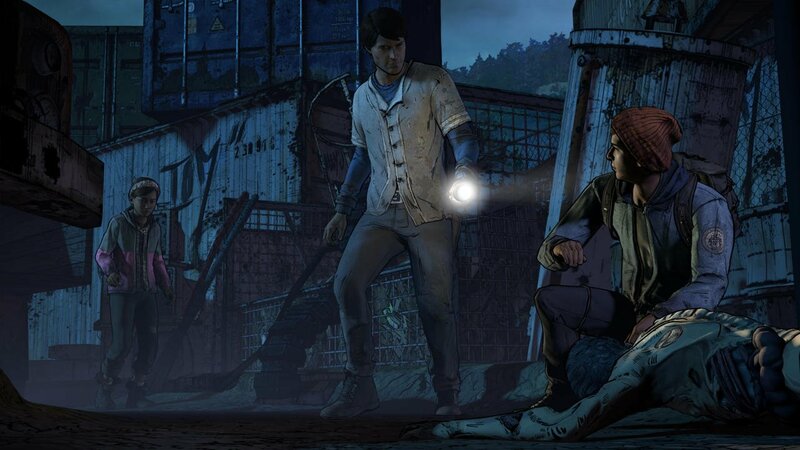 I’d complained previously about how far Telltale Games had gotten away from its adventure game roots during The Walking Dead: A New Frontier, as it really stuck out in the previous episode Above the Law. That’s why I was thrilled to see that the fourth instalment, Thicker Than Water, starts out with Javier once again stuck inside a jail cell. This time, I had to actually walk around, examine objects and figure out a way to escape entrapment. The scene didn’t flex my wit, as I simply had to pick up a stool and walk over to the window, but it was refreshing to be able to finally explore at my own pace again. Thankfully, this isn’t just a one-off, as there are actually three scenes in Thicker Than Water that give agency back over to the player. There’s still plenty of quick time events and big decisions to be made, but I’ve always felt that the two elements work best when complemented by the other. While I was really impressed with some of the character moments here, one in particular really left a lot to be desired. 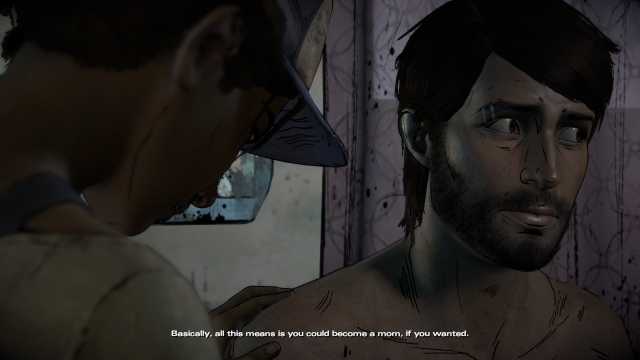 About midway through the episode, Telltale attempts to show Clementine’s growth by having her ask Javier about the periods she’s recently started having. Predictably, the scene is rather awkward. This isn’t due to the subject matter, but due to how forced it feels. Making things worse, all of Javier’s lines have him fumbling around to describe something pretty basic. It eventually ends with the player finding a package of tampons, and then handing it over to Clementine. It’s bad, but also sort of amazing in the most cringe-worthy of ways. 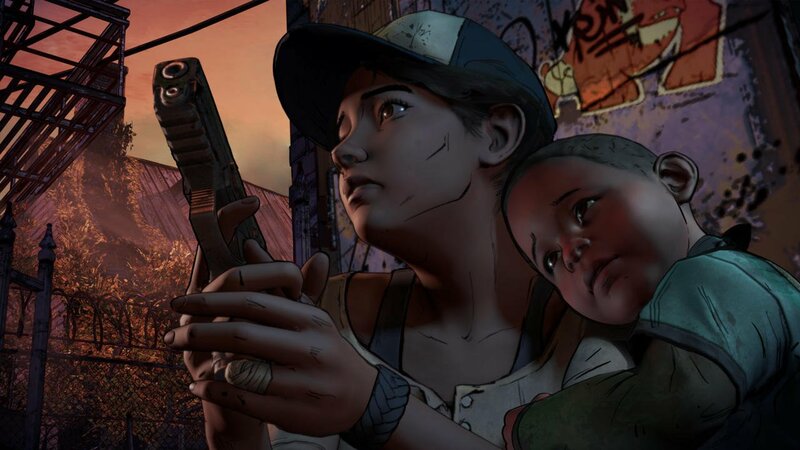 When not having players give “the talk,” the episode actually does a really great job of showing Clementine’s growth in a few flashback sequences. One is a really touching scene with Kenny that shows just how natural Clementine is when taking care of a child, as she entertains AJ by making shadow puppets in front of a campfire. These small moments of normalcy have always been one of the series’ strengths, and they work really well here. Perhaps the most important moment in the episode, though, is when Kate finally questions Javier about their relationship. I had previously kissed her early on, and I started to regret doing so once her husband was reintroduced to the story. This led to me turning down Kate in a pretty heartbreaking scene, and I’m curious as to if this will have any actual story ramifications. Telltale has often been masters at the illusion of choice, so even if it doesn’t really change things drastically, the short-term goal of making a scene memorable is at least achieved here. Since most of Thicker than Water revolves around small character moments, not a ton really happens during most of it. It’s easy to criticize the slower pace, but I found it to be refreshing considering how often things tend to hit the fan in the series. After all, this isn’t meant to be the climax of the story, but rather the moments before the defining moments. In that aspect, it’s a huge success, as every scene is building to the episode’s big ending. You might have noticed that I said that not a ton happens during “most of it,” instead of saying all of it. That’s because the final scene in the episode is one of the most action packed sequences in the entire series’ history. Not only does the player have to make some important choices here, but the game actually subverts how it typically uses your answers in a rather interesting way. It’s nice to see Telltale playing around with these all too familiar mechanics and I hope to see more of it in future games. 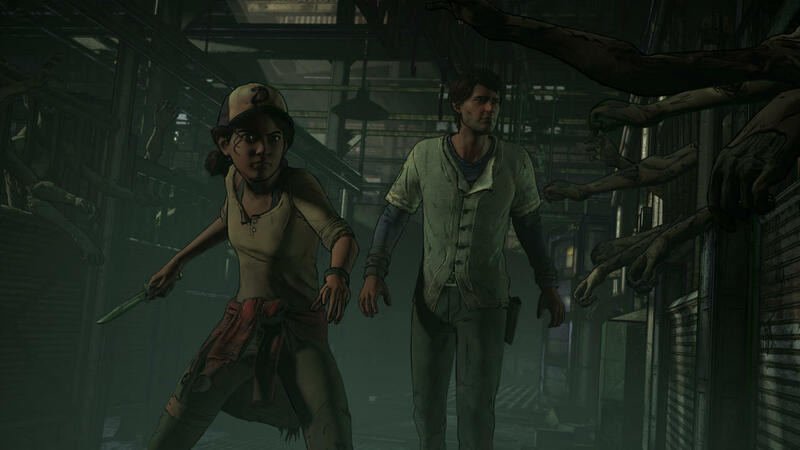 The Walking Dead: A New Frontier has had an uneven season so far, but Thicker Than Water does its job of making fans more excited for the upcoming finale. It’s not a particularly memorable episode, as the majority of it feels like the calm before the storm, but it’s constantly building tension throughout. 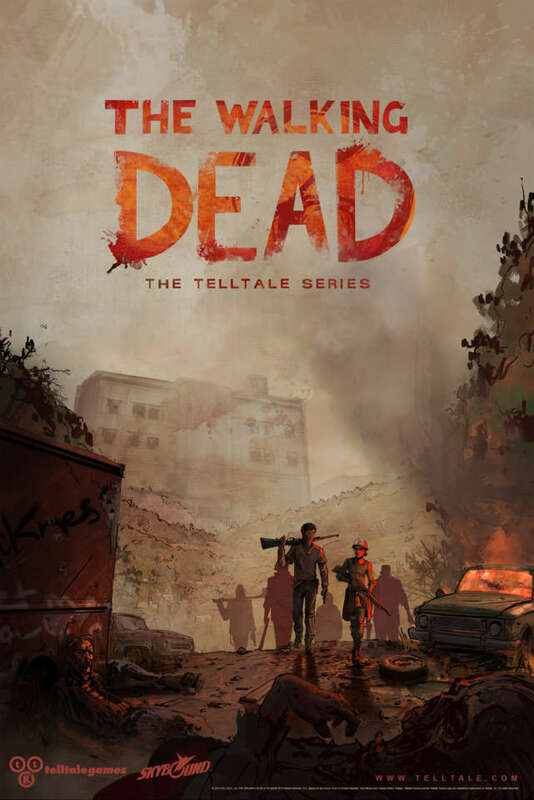 Everything comes to a head in the final moments, though, and now that all of the pieces are in place, I can’t wait to see if Telltale can nail the landing. This review is based on the Xbox One version, which we were provided with.